You may ask "What's the Liebster Award?". 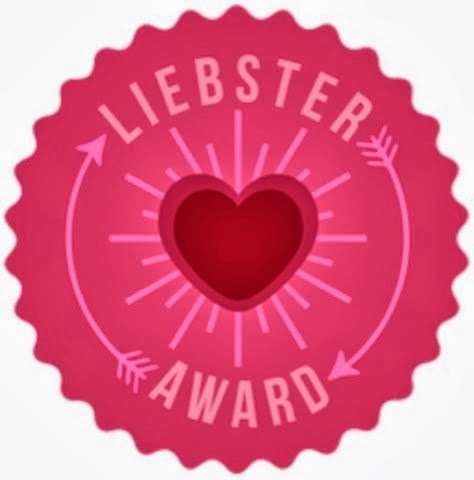 The Liebster Award is a tag for new bloggers with under 200 followers to help them get noticed. All you have to do is when you get nominated is answer the 11 questions chosen for you, nominate 11 other blogs and choose 11 questions for them to answer! So I've been nominated for The Liebster Award twice already! I never thought somebody would even think about nominating me! So a HUGE thank you to Amy and Georgina! I'm going to answer all of their questions. 1) Whats your favourite beauty product at the moment? My Burt's Bees Beewax Lip Balm Peppermint - it's a lifesaver in winter! 2) Which season do you prefer dressing for? Definitely spring or summer! You can just wear cute outfits and don't need to be wrapped up in a big coat with scarf, hat and gloves! I just can't cope with the cold - brrr! 3) What was the last thing that you bought? 4) If you had to pick 5 make up products to wear for the rest of your life, what would you pick? 5) Whats your favourite magazine? I don't really read magazines just every once in a while. 6) If you could be anyone in the world, who would it be? That's such a though question! Probably Johnny Depp (is it weird that I picked a man? haha) Because he's an amazing actor and has accomplished so many things. And his life just seems like a lot of fun! 9) How long does it take you to get ready in the morning? 10) Who's your favourite blogger? Oh god there are so many I like! But I'd have to say my favourite blogger, and also one of the first ones I started following, is Em from www.emtalks.co.uk I really enjoy her style of blogging and her posts are just great - please check her out! Without any question: a cat! I would go to Illinois, to visit one of my best friends near Chicago. It always chances so whatever I feel like listening to at the moment! Right now it's Rimmel London! 2. an unlimited supply of free flight tickets so I can go back and forth and see my family and friends whenever I want. 1) What's the last book you read? 2) What's your favourite lip product? 3) A place you want to visit and why? 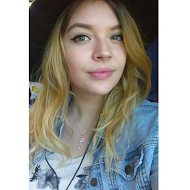 4) Gold or silver jewelry? 5) What's your favourite food? 6) What's your favourite animal? 7) One beauty product you couldn't live without? 8) What was/is your favourite subject in school? 9) Who is your spirit animal? 10) What's you favourite TV series? 11) What's your "holy grail beauty product"? I'm already looking forward to your answers!